Every retail business owner wants his business to be smiling all the way to the bank. In order for that to happen, there should be constant smooth sales. At Prognostore, we understand that making sales is the daily goal of every retail business owner and how crucial a point of sale software is in achieving that goal. This article gives you all the information you need to know about Prognostore; which is designed to help your business sell more. It takes literally less than 30 minutes to set the Prognostore POS Software. Immediately your account is set up, you can upload your inventory and get selling right away! It’s as simple as ABC. The Prognostore POS software is available anywhere in the world. 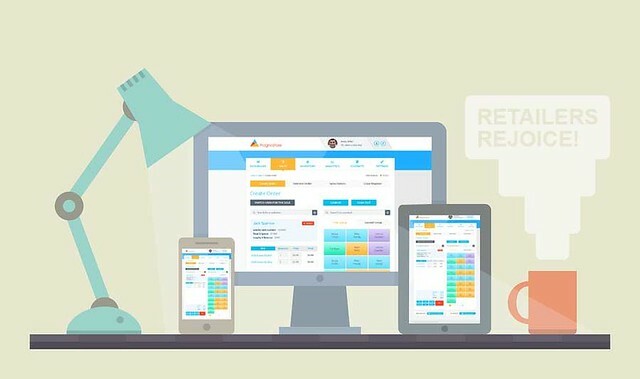 As a result of its cloud-based nature, retail business owners can easily access their Prognostore account right from their fingertips. All you have to do is get connected to the internet and immediately you gain full access. Prognostore works on any device you have, ranging from your computer, iPad, tablet, and phone. This enables you to easily monitor the running of your business from wherever you are in the world. The best part is that the Prognostore grows with your business! If you are looking to expand your retail business, all you need to do is tailor your account and you can monitor your business from one location, stressfree! This is our way of reintroducing ourselves to you. Prognostore is your one-stop store for your inventory needs, it is the best inventory management system in Nigeria and we are gladly at your service. If you have any questions, kindly state them in the comment section.